Lightning, thunder, wall collapses left people in the district completely shaken and the deafening sound of lightning gave sleepless night to many. 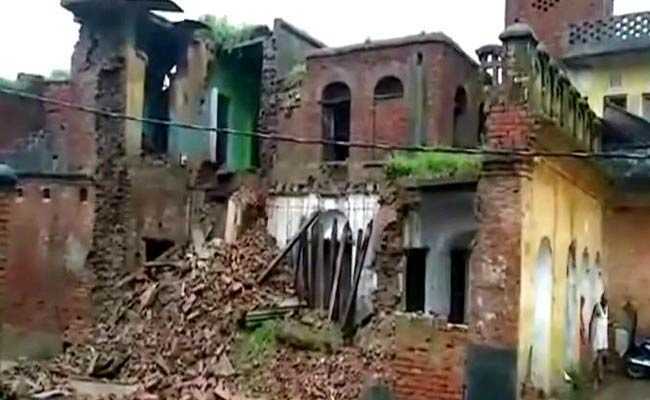 Heavy rain led to wall collapse in Uttar Pradesh. Thunder, lightning and heavy rain and left seven people dead and six injured in Uttar Pradesh's Hardoi on Wednesday. Heavy rain led to wall collapse in four areas and left 5 people dead and five others injured while lightning struck two farmers and led to their death. Another person got injured due to lightning in a separate area. "The injured are undergoing treatment in the hospitals. The process of providing compensation to the family members of the dead is underway," said Sanjay Singh, Additional District Magistrate.